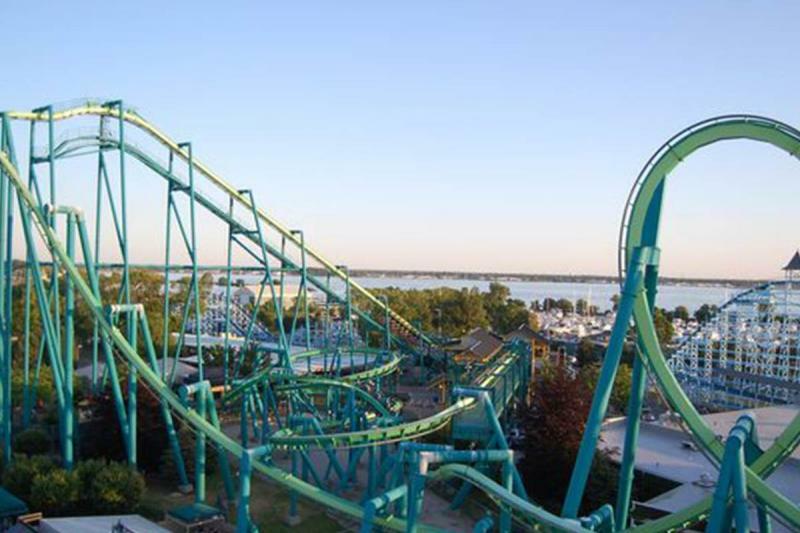 Cedar Point is a 364-acre (147 ha) amusement park located on a Lake Erie peninsula in Sandusky, Ohio. Opened in 1870, it is the second-oldest operating amusement park in the United States behind Lake Compounce. 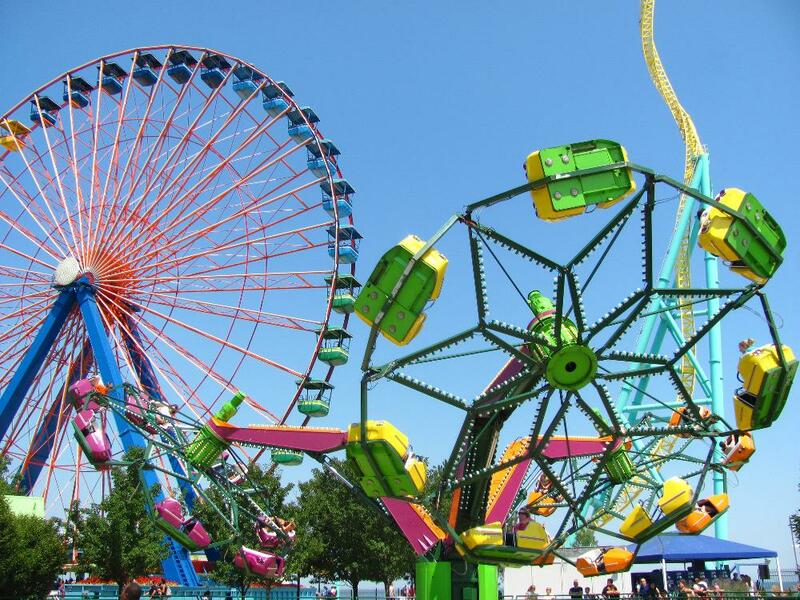 Cedar Point is owned and operated by Cedar Fair and is considered the flagship of the amusement park chain. Known as "America's Roller Coast", the park features a world-record 71 rides, including 16 roller coasters which are second-most in the world behind Six Flags Magic Mountain. Its newest roller coaster, Valravn, opened in May 2016. Cedar Point's normal operating season runs from early May until Labor Day in September. The park then reopens only on weekends until the end of October or early November for a Halloween-themed event known as HalloWeekends. Other attractions near the park include a one-mile-long (1.6 km) white-sand beach,an outdoor water park called Cedar Point Shores, an indoor water park called Castaway Bay, two marinas,and several nearby resorts. The park has reached several milestones. It is the only amusement park in the world with five roller coasters taller than 200 feet (61 m) – Magnum XL-200, Millennium Force, Wicked Twister, Top Thrill Dragster, and Valravn – and is the only park with roller coasters in all four height classifications. Cedar Point also received the Golden Ticket Award for "Best Amusement Park in the World" from Amusement Today for 16 consecutive years from 1997-2013. As of 2015, the park is the most visited seasonal amusement park in the United States with an estimated 3.51 million visitors in 2015. The park also has several buildings that are listed on the National Register of Historic Places.